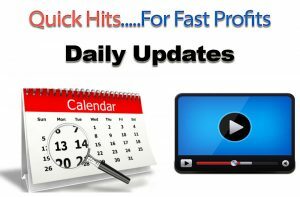 Detail Chart Analysis and Reviews provided in new & improved video format with audio. 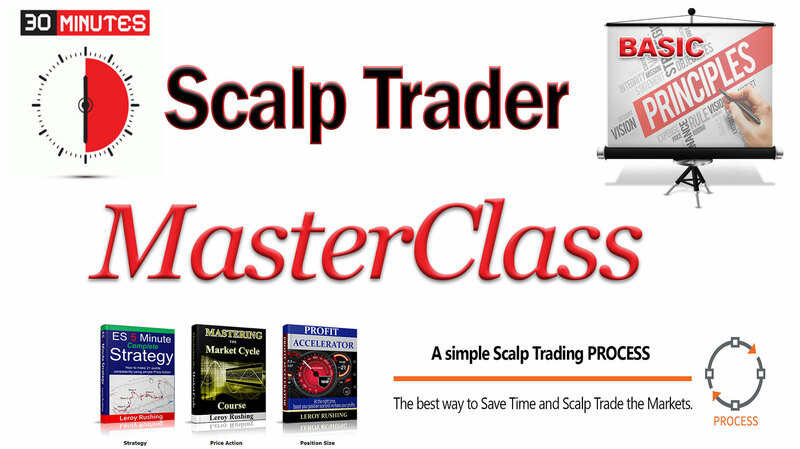 Registered LIVE Trading Room attendees get FREE access…Click here! With the previous price action showing early signs of a mini market cycle phase 3, we waited for the opening bell and confirmation of price action moving in a downtrend on the 1-minute charts. Our pre-market analysis continues to show the evidence of price action finding support in the current area, so any trades will be taken with a minimum position size. We identified multiple flag pattern breakdowns. We took an aggressive SHORT from price action breaking minor support after a flag pattern breakdown. 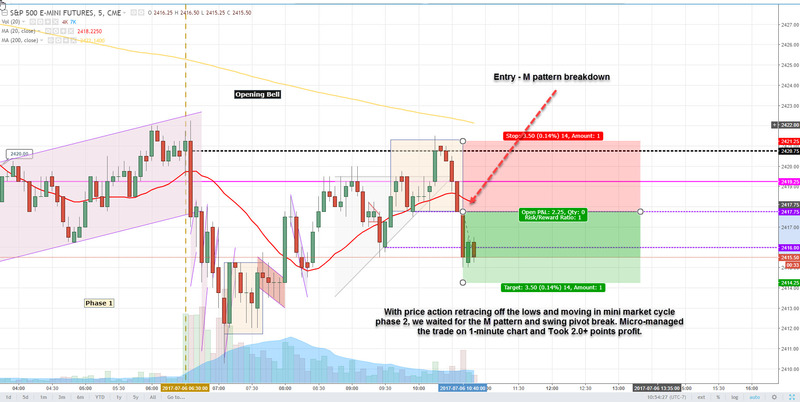 We moved the stop to breakeven for a “free trade” and closed the trade at breakeven. Once price action rolled over after the mini market cycle phase 2 and transitioning to phase 3, we took a minimum position SHORT and micro-managed the trade on the 1-minute charts. Using a trailing stop, we took 2.0+ point profit. Continued to see momentum trending lower while price action predominately stayed below the 20 MA. Took aggressive SHORT and managed the trade. Took 3.0+ points profit.